Ocean Gate is located just next to Nha Trang’s shoreline and planned to be finished in 2019. The project consists of both 4-star hotel units and serviced apartments, with many modern amenities and facilities. Ocean Gate Nha Trang has been honored at the BCI Asia Awards 2018 and offers a lucrative guaranteed rental income program. Van Phong Investment and Development is a Vietnamese developer established in 2004. The company has built a number of other projects in Nha Trang in since. In addition to real estate development, they work with maritime services, trading in waterway transportation, exploiting and processing minerals, and more. To know more about this project, simply fill in this form and we’ll connect you with a leading agent in Vietnam. GoldCoast is one of the most interesting condo projects in Nha Trang, with luxury apartments located only 50 meters away from the shore. If you buy a condo here, you have the opportunity to stay in the project for 15 days yearly. The first 12 floors are built for commercial purposes, with office space, restaurants, supermarkets, gym, cinema, and more. The apartment units located above the commercial space are designed by Australians, to resemble design from Brisbane. Thanh Yen Group is a Vietnamese developer with 16 different subsidiaries and nearly 2,000 employees. The company specializes in real estate, industrial and civil construction, manufacturing and trading, construction materials, and more. You can find their offices in Ho Chi Minh City to Long An, Nha Trang, Binh Phuoc, Binh Duong and Binh Dinh. Vinpearl Empire is located on Le Thanh Ton Street, one of the main streets in Nha Trang. It’s in the city center with a short distance to Nha Trang Bay. The project includes modern amenities and is suitable for investors and holiday spenders. The project was designed by a UK company, namely Atkins. Vingroup has more than two decades of experience and is one of the biggest companies in Vietnam. The company works in a number of industries, including real estate, education, agriculture, healthcare, and more. Vingroup owns 1000 supermarkets, has a number of big subsidiaries, and rated as the best developer in Vietnam by Euromoney Magazine. Virgo Hotel and Apartments is a 5-star complex with both condotel units and regular hotel units. The project caters tourists, investors and permanent residents. The average size of the condotel units is fairly small (36 square meters), but can be a good investment for rental incomes. It won’t take you more than 5-10 minutes getting to some of the most popular areas, and Tran Phu Beach. You also have the opportunity to get 15 nights for free yearly, or receive the equivalent amount in cash. KimQui construction is a Vietnamese developer that’s operating in real estate. The company has built a number of projects, including Anantara Resort (Quy Hon), Dat Xanh Building, and more. Vinpearl Long Beach Villas are located in Bai Dai Beach, a calm and beautiful area with 15 minutes of walking to the beach. The project has 200 luxurious villas, with natural vegetation and palm trees. It’s a plush area and you won’t need more than a 5-10 minutes drive to reach the Cam Ranh International Airport. You also have the option to spend 15 nights per year in either sea villas sea villas included in the Vinpearl system, or in five-star hotel rooms. Mövenpick Resort Cam Ranh is a luxury resort and designed with local Vietnamese architecture. The complex has hundreds of villas and apartments, and many modern amenities. The area offers a beautiful view of the sea along a 800 meter long shoreline. The same as it goes with the Vinpearl Long Beach Villas, you’ll reach Cam Ranh International airport in 5-10 minutes by car. The villas are luxurious and under the Swiss brand Mövenpick, adding more prestige and value to the resort. Eurowindow Holding was established in 2007 and manages capital invested in Vietnam. The company operates in a number of industries like construction material manufacturing, property development, banking, insurance, and more. The company focuses mainly on offices, apartments, commercial centers and luxury resorts. Can foreigners buy property in Nha Trang? Yes, foreigners can buy property by simply having a tourist visa. Condos can normally be bought on a freehold basis, while some can be bought over a leasehold period stretching up to 50 or 70 years. The lease can sometimes also be renewed. Do I need to live in Nha Trang if I own a property there? No, you don’t necessarily need to live in Nha Trang if you own property there. What makes Nha Trang a good place for property investments? Nha Trang is the 4th biggest city in Vietnam and attracts many foreign tourists and property buyers. The city has less commercial activity compared to Da Nang and Ho Chi Minh City, but is a preferred choice for many tourists. It’s outspoken that Nha Trang has one of the most beautiful shorelines in Asia, on top of that, property is comparatively cheap. As you’ve seen above, you can buy condos for as little as USD 1500 per square meter, and still enjoy a great quality of life, with low living costs. Not to neglect, developers often offer guaranteed rental incomes as high as 10%. There’s no cap to the amount of properties that you can buy as a foreigner. 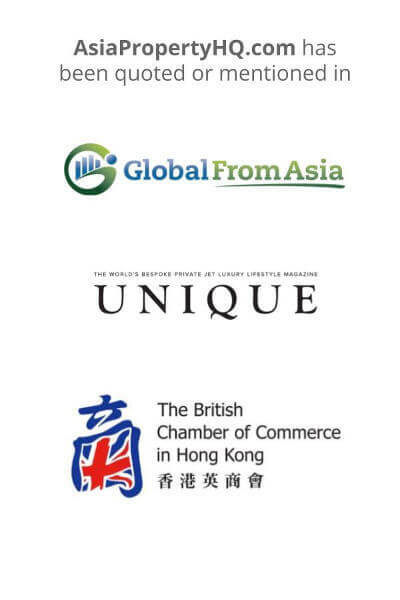 However, foreigners can maximum buy 30% of the units in condominium projects. Foreigners are restricted to buying a maximum of 10% of landed properties in a new project. 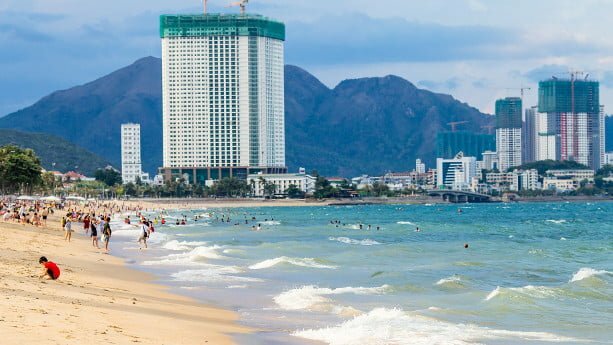 Can I rent out my property in Nha Trang? Yes, you have no particular issues to rent out your property in Nha Trang. In fact, many projects built for rental purposes, a reason why you earn a guaranteed rental income, and where you have the opportunity to stay up to 15 nights yearly. Foreigners can buy property from Vietnamese developers, but not from Vietnamese private persons. On the other hand, Vietnamese persons can buy second hand properties from foreigners. Can I buy land as a foreigner? Instead, you can lease land during a period of 50 or 70 years, sometimes with an option to renew the leasehold period. Is Vietnam a good place for property investments? Vietnam’s middle class continues to increase, it’s one of the fastest growing country in the world. Vietnam has Asia’s highest yields, and the tourism industry is booming, especially in places like Nha Trang, Vung Tau, Hue, Da Nang, Hoi An, and more. It’s generally easy to obtain tourist visas and you can enjoy a great quality of life with low costs. If you want to know more, you can also read our separate article that explains some of the benefits when investing in Vietnam property.